As it turns out my A/C stopped working that weekend, leaving my house at a sweltering 90 degrees. I had called the utility company earlier that weekend, and they walked me through adjusting my thermostat to the right setting. Thinking I had fixed the problem, I eagerly waited for the house to become cooler. As it turns out, the A/C wasn’t even hooked up to the thermostat, and the problem was still glaringly apparent as I meal prepped for the week and made dinner for my guests. With my kitchen blistering hot from my all day cooking fest, and no air circulation in my house, my house was like a sauna by the time my friends had arrived. Clint and Shay were really good sports about the entire evening, and we made do with a picnic style meal in my living room (the coolest room in my house). Dinner was somewhat bearable thanks to the mini fan they brought with them, but suffice to say they didn’t stay to long 😉 Wanting to make it up to them, I invited them over the next week for another meal. 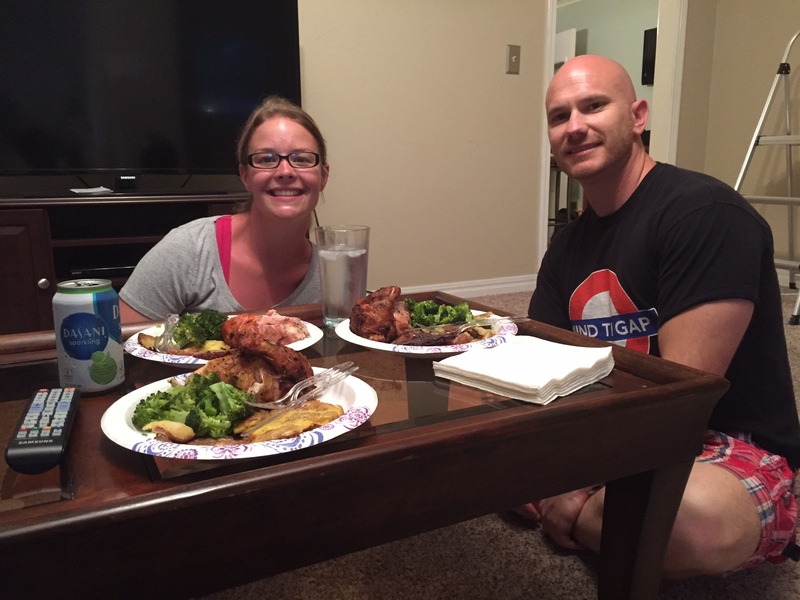 With the luxury of a working A/C, we were able to have a much better evening. 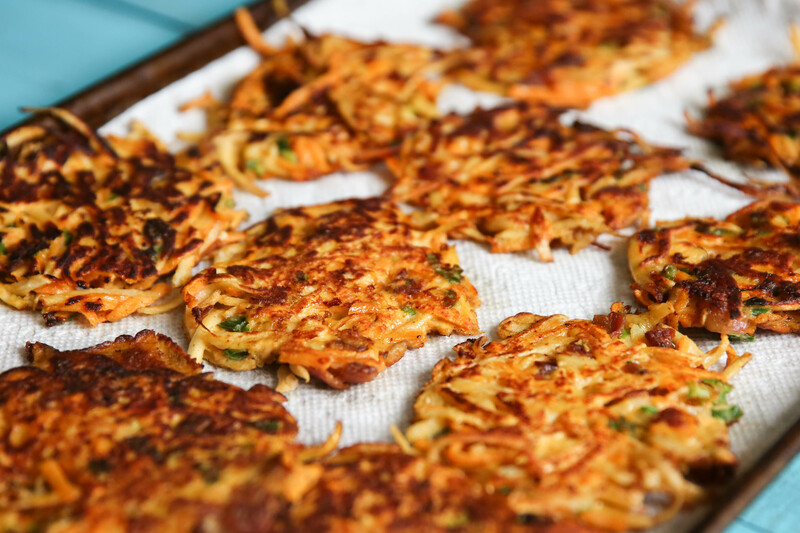 Even better, these sweet potato and parsnip fritters were the star of the show! Clint and Shay loved the taste and texture of these fritters, reminding them somewhat of hash browns. Plus I added bacon and cheese (optional) to the recipe, so how could it be anything but amazing? I’ve been working several months to get this recipe just the way I want it, so I’m very excited that I have the opportunity to finally share it with you guys. Enjoy! Add all of the ingredients into a large bowl, and stir until fully incorporated. Line a large baking tray with paper towels. Add 2 tablespoons cooking fat to a large skillet and place the skillet over medium heat. Once the cooking fat has heated, place heaping scoops of the vegetable mixture (approximately 1/4 cup for each scoop) into the skillet. Flatten the vegetable mixture down with a fork into rounds making sure that the ingredients are evenly distributed and that the fritters in the pan are not crowded. Cook the fritters for 3 to 4 minutes on one side until browned. Once browned, flip the fritters over and cook another 3-4 minutes. 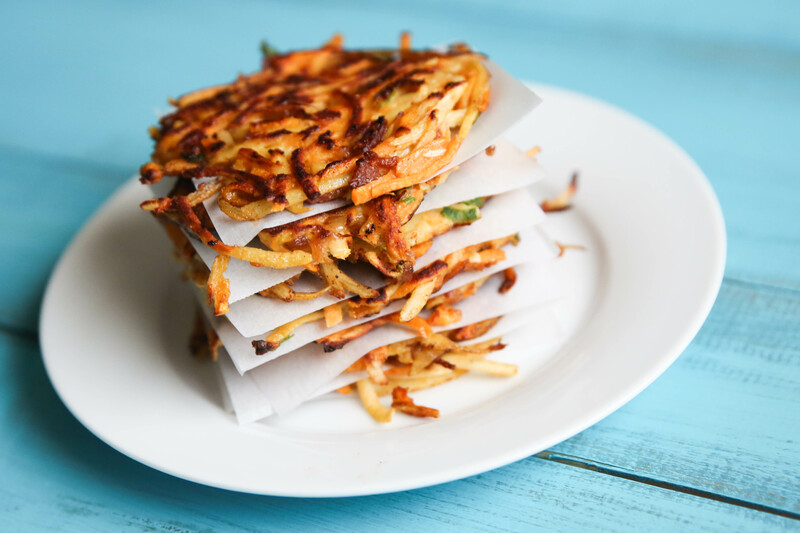 Once the fritters have cooked, remove them from the skillet and place on the paper towels to drain. Repeat this process with the remaining vegetable mixture, using additional cooking fat as necessary to cook the fritters. 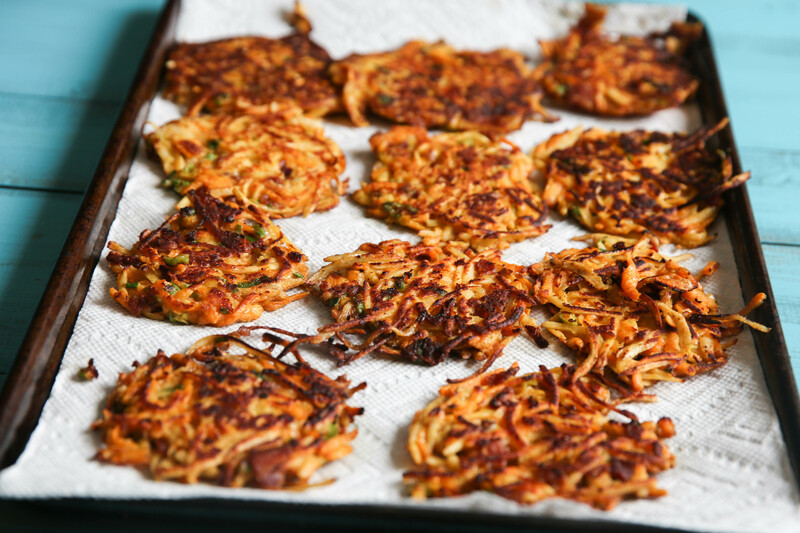 Tags: bacon, clean eating, fritters, paleo, Primal, sweet potato fritters | Permalink.